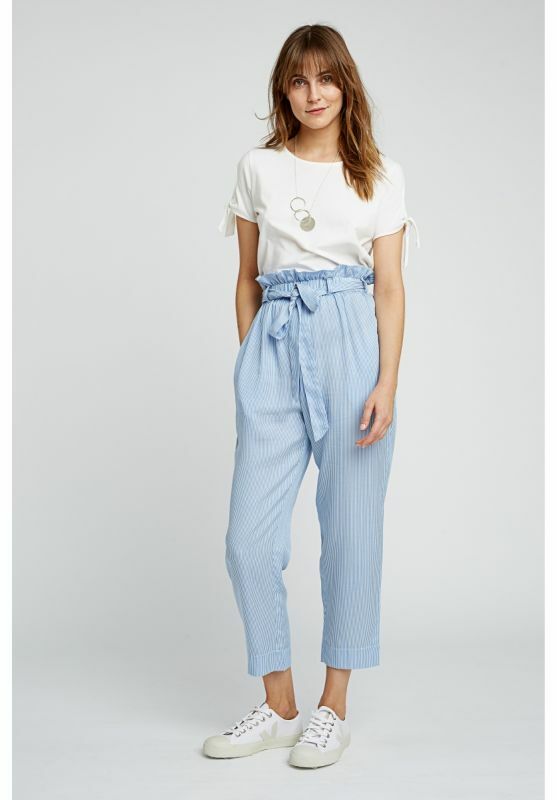 Regatta blue stripe yarn-dyed TENCEL ™ Lyocell trousers. Lightweight trousers, featuring a sophisticated paper bag waist and tie detail. The drapey fabric is flattering and the high waistline and tapered cut keep them versatile. Details: Front Patch Pocket, longer in length at the back of the garment.